Welcome to my new eBook, Wide-Angle Landscapes. Wide-angle lenses are the most exciting lens in a landscape photographer's bag. In this eBook, I will explore the different techniques to take full advantage of the creative power of wide-angle lens photography while steering you away from the pitfalls that are commonly seen. With each new technique, I share a group of sample images to illustrate each point, finally culminating in the combination of themes to make dynamic imagery. I also share the techniques in the world of architectural photography, as wide-angle lenses can be used well beyond the world of landscapes. In addition, I have included a shopping guide so you get the right wide-angle lens for your chosen system. I'm excited to share my passion for creating dynamic scenes through the unique perspective of wide-angle photography. Enjoy the journey! 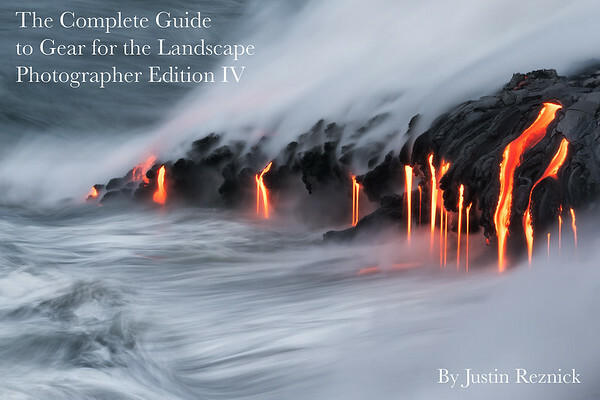 Welcome to my eBook, The Complete Guide to Gear for the Landscape Photographer Edition IV. In the latest edition I include over 180 pages of comprehensive gear recommendations for landscape photographers. While being obsessed with gear or having the best gear possible will not make you a great photographer, the right gear will reduce barriers and eliminate frustrations in creating compelling images. The gear needs to get out of the way so your artistic vision can flourish. I have seen so many landscape shooters ill-prepared in the field, with their gear becoming an obstacle to success. This book is designed to eliminate obstacles and put you on the path of fulfilling your artistic vision. 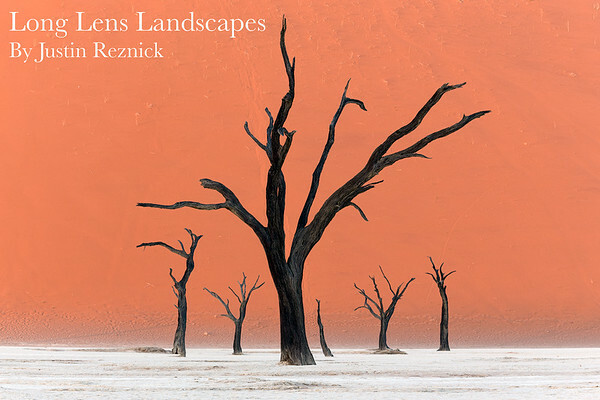 In addition to my advice, included in the book are 20 interviews with some of the top landscape photographers in the field, sharing their gear secrets. Whether you are a beginner looking to put together a kit, or a veteran curious to see recommendations on the latest and greatest gear, this book covers it all! Enjoy the journey! Welcome to my new eBook, Long Lens Landscapes. Telephoto lenses are the most underutilized tool in most landscape photographer's bag. In this eBook, I will explore the different themes and techniques that will push your creative pursuits to new heights with long lens photography. With each new technique, I share a group of sample images to illustrate each point, finally culminating in the combination of themes to make dynamic imagery. I also share the techniques in the world of architectural photography, as telephoto lenses can be used well beyond the world of landscapes. In addition, I have included a shopping guide so you get the right telephoto lens for your chosen system. I'm excited to share my passion for the more intimate side of landscape photography. Enjoy the journey! 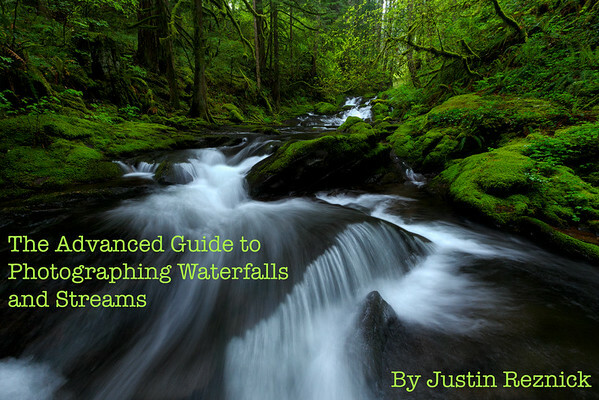 Welcome to my eBook, The Advanced Guide to Photographing Waterfalls and Streams. Water is a subject that captivates many landscape photographers. The ability to change shutter speeds and create silky smooth water opens up a window into the creative side of landscape photography and paves the way for learning manual control of your digital camera. There are resources on the web and in books about techniques on photographing water, but rarely do these resources delve deeply into the skill and artistry of successful water photography. 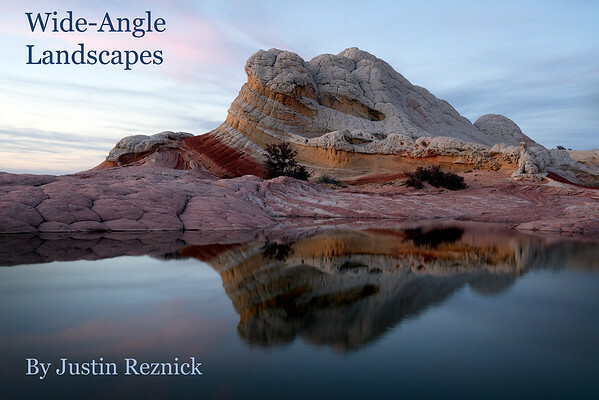 The aim of this eBook is to propel the enthusiastic beginning landscape photographer to an advanced level, and to give the advanced photographer the necessary tools to be successful. My hope is that numerous techniques and topics discussed in this eBook will enhance your creativity when photographing waterfalls and streams. 60 pages full of techniques in the field and in the digital darkroom. Enjoy the journey!